Witnessed document shredding service is by definition the ability to observe your personal documents, Medical files shredded in real-time. It’s usually associated with drop-off shredding services, but can also be available at shredding plants, independent shredding companies like Neighborhood Parcel of Boston MA. 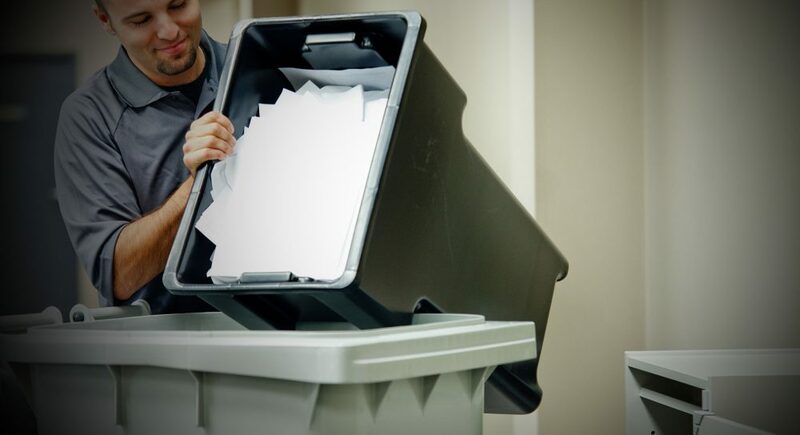 There are several ways that you can actually witness the shredding of your documents, you can arrange to drop-off your documents and watch them get shredded, or ask for a video recording of your documents being shredded. By witnessing your shredding, you can have the peace of mind that your personal or company documents are destroyed while you watch. Neighborhood Parcel has developed a way for you to drop off your residential documents or small business files at their Tewksbury MA facility and watch them being shredded. The process is quick and secure, your documents will be processed by a heavy industrial paper shredder, your documents will be Crossed-shredded into fine particles and then recycled. Witnessed shredding service rates from $1.69 / Lbs with $75.00 Minimums. Shredding paper on our site gives you peace of mind. When Neighborhood Parcel shreds your material in front of you, it offers you a level of security that can’t be demonstrated with words or on paper. The document shredding provider you hire might be the most trustworthy in the industry, but sometimes you just need to watch the entire shredding process. Witness complete shredding of your sensitive and medical documents. The service is completed by qualified and background checked staff member. Cross-Cut Shredder built with advanced destruction equipment and ample security systems. A documented Chain-of-Custody for compliance purposes. 100% of the shredded material is recycled into new paper products. Appointments can also be coordinated for your business to witness the destruction of high volumes of documents at our facility in metro Boston MA or at regularly scheduled appointment times. watching my documents being shredded at your facility gave me great peace of mind. My shredder will never process that many personal documents in the small amount of time it took your shredder to do. This is the only place in town that I can find that does this kind of work and I highly recommend. The price is very reasonable for the peace of mind you will get knowing that your documents are shredded to pieces.